There was nothing angelic in Angel&apos;s screams. In fact, there was nothing angelic about an irate Angel at all, with her big, buggy red eyes and her dog-like snarl and her wild, curly hair. Shai could not understand why her parents even named her older sister after something that was so peaceful and serene and every bit as un-Angel as can be. She doubted very much that angels threw shoes or retractable forks at their younger siblings. Angel sure did. Shai ran out of her older sister&apos;s room. The door pffed shut, followed by the thud of a small red shoe. At least Shai thought it was a red shoe that Angel threw at her. Angel loved the color red. Once the door closed, the screaming stopped. It probably went on for a little longer on the other side, but that was the beauty of doors and walls. They muffled the sounds coming from inside the room. With a big sigh, Shai walked back towards her room and came face to face with the meta-sitter, its skin glossy brass and glass head sparking with blue electricity. "Disturbance. Is there a problem--" it took a moment to scan the girl, then, "--Shai?" "Detected screaming in Bedroom Four," the meta-sitter continued, "Have you been rummaging again?" Shai heaved her shoulders, remembered that the meta-sitter was not good with body language, then said, "No." Shai placed her hands at her back, holding onto the silver and gold bracelets she&apos;d taken from Angel&apos;s jewelry box. When the meta-sitter said nothing else, Shai pointed her chin out, pouted, and said, "She was just mad I went into her room again." "You should learn not to disturb your older sister," the meta-sitter said. It whirred, clicked, and rolled toward Angel&apos;s door. "Go back to your room," it said to Shai, who was only too happy to leave the hallway. Once her own door closed, Shai giggled. She jingled the bracelets and knew her project would be complete soon. All she had needed was the jewelry. Shai&apos;s Bedroom Five was at the other end of the hall and looked nothing like Bedroom Four. Angel had taken some pains to organize her things into shelves and closets and cupboards. All of her shoes had been on one side of the room, and her bags and jewelries were covered in thin, plastic bags and stacked on metal shelves that protruded from the walls beside her four-poster bed. Angel’s clothes hung inside a closet with a numeric pad, and all she had to do to access them was to touch the screen next to the closet with the right clothes selected. Angel wasn&apos;t very attentive, but she paid much attention to her clothes. Anything that looked remotely strange in her closet sometimes caused tantrums, ones Shai could not understand. Shai kept her room in disarray, which bothered Angel so much that she&apos;d refused to go in ever. There were clothes on the cushioned mattress, which was inside a butterfly tent since Shai did not desire a typical bed, on the carpet floor, on the couch, on the small chairs that circled a tea table. Shai owned one pair of outside shoes, which she wore inside as well, and one pair of really nice shoes that was not wrapped up in plastic and stacked on a shelf. All of Shai&apos;s metal shelves contained books and papers and notebooks, some old and frayed and battered, some smelling of newness that could only come from the newly bought and newly published. She did not own any jewelry. "You will get your first bracelet on your twelfth birthday," Mama had said one day after Shai questioned her. Shai was only ten. That made things worse, because Angel had turned twelve that week. "Why twelve?" Shai had asked. "Why not ten?" "Because you&apos;re irresponsible," Angel had said, puffing her chest and smiling with a knowing smile. Angel did a lot of things that sounded impressive, but Shai was not fooled. "Responsibleness happens when you&apos;re my age." "Responsibility," Mama corrected and nodded. "Patience is the first step to responsibility." Shai hated it when they treated her like a kid. She was smart, she read a lot, and she knew that the girls in her books did not wait for responsibility to arrive in gift-wrapped packages like Angel did. Some eleven-year-old girls were learning to become roboticists and mechanics and scientists who ended up building rockets and floating buildings and robots that looked kind of like humans but were not. Genius Girls, her mother had called them. Girls who tested so high on The Assessment that the government had taken interest in their education. Not every girl was a Genius Girl. Angel wasn&apos;t, but that didn&apos;t seem to stop her from believing that she knew more than Shai. The Assessment declared that Shai was not a Genius Girl either, so she had not been sent to the special academies at the center of the nation, even though she had started reading at three and knew her mathematics at six. She was not very good with tests, and The Assessment was a collection of different tests to make one long test that took hours and sometimes days to complete. Shai never finished The Assessment; she fell asleep on top of the mathematics problems after she&apos;d doodled all over the back. Papa had been more amused than disappointed. When he received the results, he put up Shai&apos;s mathematics page on one of his large corkboards like a certificate. "Cheer up, starshine," Papa said when Shai felt all kinds of miserable. "Your assessor is a fool. If he&apos;d been paying attention to your doodles instead, he&apos;d have seen your brilliant ode to – are those penguins? Yes, I thought so – Sierpinski&apos;s triangle. It&apos;s a work of art, truly, my star." Papa hadn&apos;t cared that his daughters were not Genius Girls. "Everyone has different interests," Papa said, "All that book learning in the academies have nothing on practical application and passion. And you, my girl, have the Passion with a capital P." And so he taught his youngest daughter about electricals and mechanicals and roboticals. And he often called Shai his "Star Who Shines." 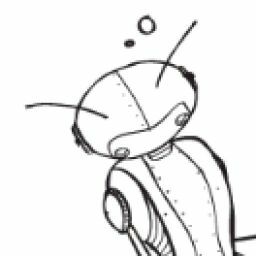 Shai&apos;s father built robots that were used all over town, and sometimes he would allow Shai an opportunity to place a part and set the wires. Once he had even let her help design a robot&apos;s personality code. But she had never built a robot on her own or without her father&apos;s supervision. In normal circumstances, Shai would never have attempted it. Until Angel found out one day what Shai was doing while Angel went to school. Shai was being unladylike, Angel said. Ladies did not smell of oil and metal and heat. They did not have tattered skirts and matted hair and greasy skin and calloused hands. They did not follow their fathers around with wrenches and screwdrivers and a pocketful of gears and bolts. "I don&apos;t want to be a lady," Shai said. She stuck her tongue out. "Ladies are estupidas." "I am not stupid!" Angel shrieked. The argument escalated from there. "Stop it, you two," Mama said, splitting the girls up on separate sides. "You&apos;re hermanas. Act with a bit more decorum, will you?" Sisters were overrated, Shai thought. And that was when she decided she&apos;d build herself a better model. 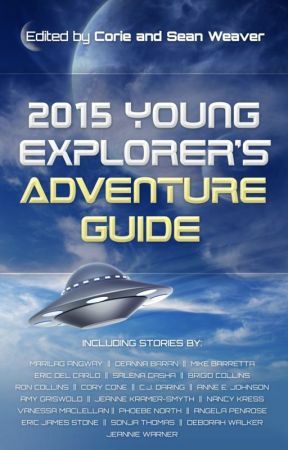 ....to be continued in the Young Explorer&apos;s Adventure Guide! Robot Sister Number Phi is a story from the Young Explorer&apos;s Adventure Guide, an anthology of science fiction stories for middle graders. We&apos;ve got a great collection of 20 stories from amazing authors, ranging from Nebula and Hugo winners to relative newcomers to the field. 90% of the stories in the anthology are brand new, and 80% have central female characters. We don&apos;t have girls who are prizes to be won or waiting to be rescued. All of our heroines and heroes are on their own adventure, not a side note in someone else&apos;s. Our characters are white, black, asian, latino. Human and robot. Everyone belongs here. To read more, check out our Kickstarter!